When only the best will do, send our Luxury Gourmet Carry Bag. 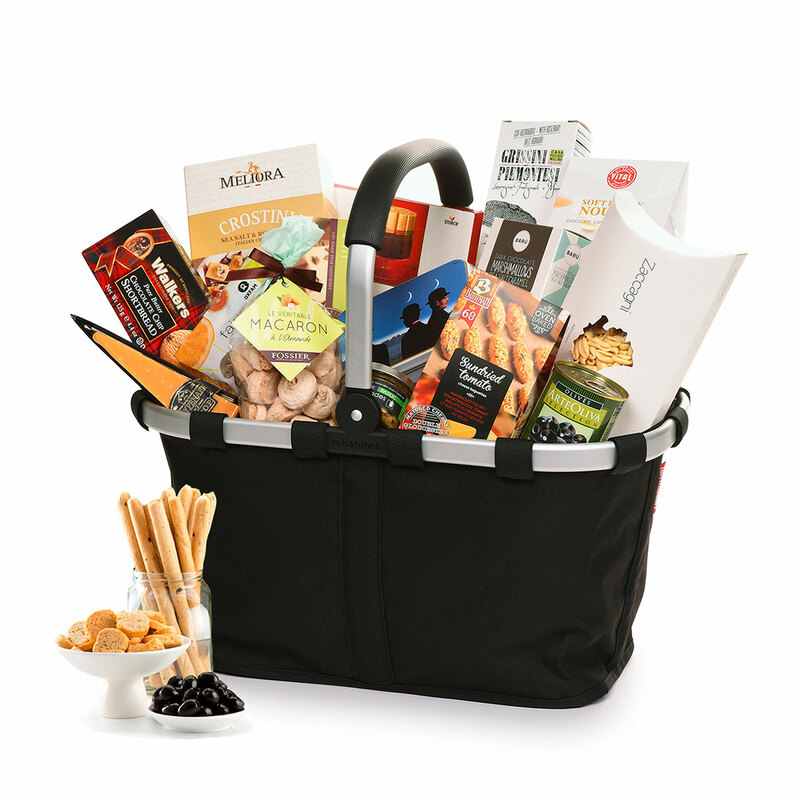 Reisenthel's award-winning, reusable Black Carry Bag is filled with a fantastic array of our premier gourmet foods from Europe. The chic gift bag overflows with a collection of sweets and savories. Enjoy a true feast of artisan linguine, all natural tomato sauce All'Arrabbiata, French aubergine pastinade, and gourmet black olives. Savor crisp Italian rosemary bread sticks, bruschette, and Roka Cheese Crispies as an appetizer or snack. On the sweet side, discover fine Belgian chocolate by Corné Port-Royal, Barú gourmet marshmallows, Maison Fossier Macarons, Destrooper biscuits, and more. This spectacular gourmet gift bag makes an impressive statement of your generosity and esteem for corporate gifts, Christmas, weddings, birthdays, and other important occasions.